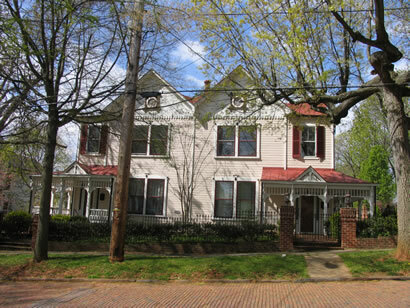 The house is of Victorian Vernacular and built in 1883 by Robert C. Burkholder for George Fleming as rental property. The house was owned and occupied by Louise Padgett for over 30 years. Note the decorative front doors.